Circa 1913. 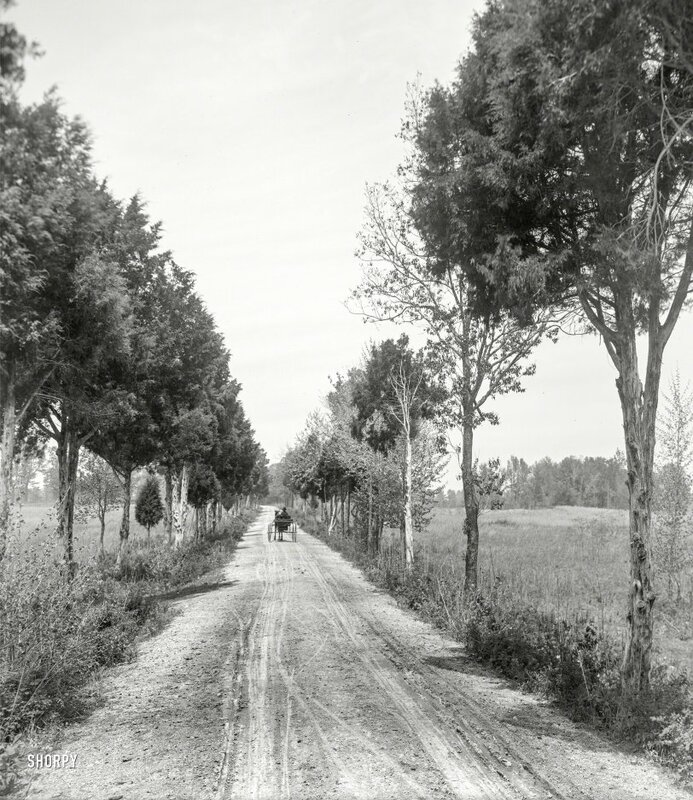 "Alexander Bridge Road, Chickamauga, Georgia." 8x10 inch dry plate glass negative, Detroit Publishing Company. View full size. Submitted by DavidB on Tue, 05/15/2018 - 11:52am. This placid tableau fails to even suggest the ridiculous amount of men killed on either side of this road during September of 1863. Submitted by Root 66 on Mon, 05/14/2018 - 2:03pm. Probably hold a lot of history in them. This road ran through the Chickamauga Battlefield during the Civil War. I wonder how many Minie balls were still lodged in their trunks.